Yothu-Yindi has many meanings, but generally translates as “child-mother,” and refers to relationships between people, clans, pieces of land, songs, or anything in the Yolŋu universe. Yothu-Yindi pairs are of different moieties, just as children are the opposite moiety from their mothers. I will leave my own Dhuwa business and jump to the Yirritja. Because I am their djuŋgaya. There are many djuŋgaya. I will tell you this, those two, Mandawuy and Galarrwuy Yunupiŋu (Gumatj clan – Yirritja), are djuŋgaya for my land. And myself (Gälpu clan – Dhuwa), Witiyana Marika (Rirratjiŋu clan – Dhuwa) and others are djuŋgaya for this land (Yirritja Gumatj clan land at Gulkula). Every person is responsible for learning and maintaining their own clan’s business, but they also have an important role looking after their mother clan’s business. 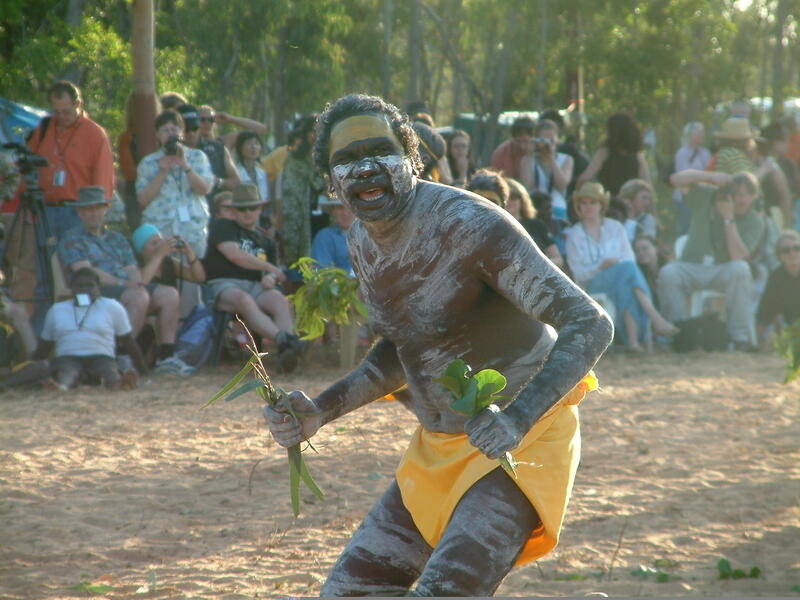 The yothu is the caretaker or manager of his or her yindi’s land, ceremonies, paintings, etc. 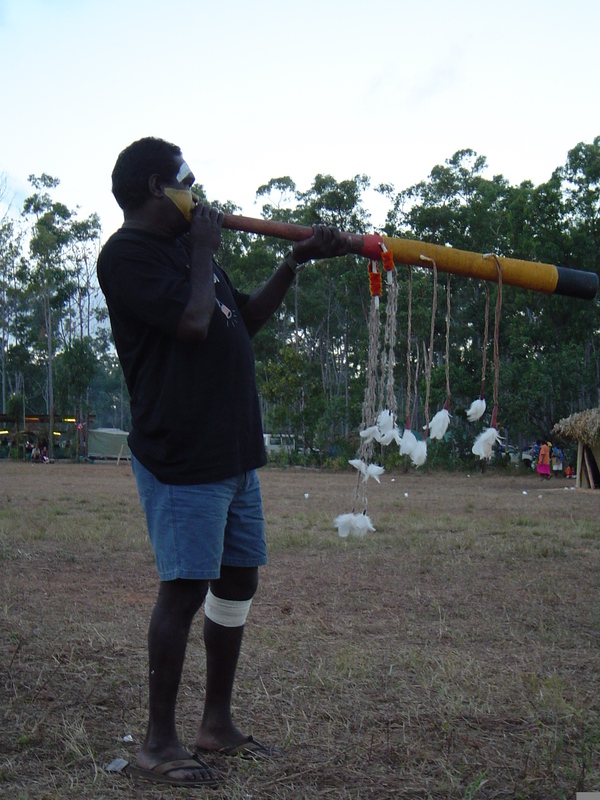 In many Yolŋu languages this caretaker is called djuŋgaya. The djuŋgaya is consulted about use of his or her mother’s clan’s land and resources, and must be satisfied with the performance of its ceremonies. Yothu-Yindi is an extremely important concept that maintains the practice of Yolŋu culture, thanks to an ongoing system of checks and balances and cooperation between the two moieties. This brings up an important point about types of yidaki that we will cover more in the next section. You can not always know that a Yirritja yidaki maker has made a Yirritja yidaki, just as you will not see only Yirritja people participating in Yirritja ceremony. It is in fact common to see a man playing yidaki for his mother’s clan’s ceremony. Yolŋu of different moieties and clans work together and look after each other’s knowledge and sacred items, yidaki included. Witiyana Marika of the Rirratjiŋu clan (Dhuwa) painted up and dancing for his mother's Gumatj clan (Yirritja). 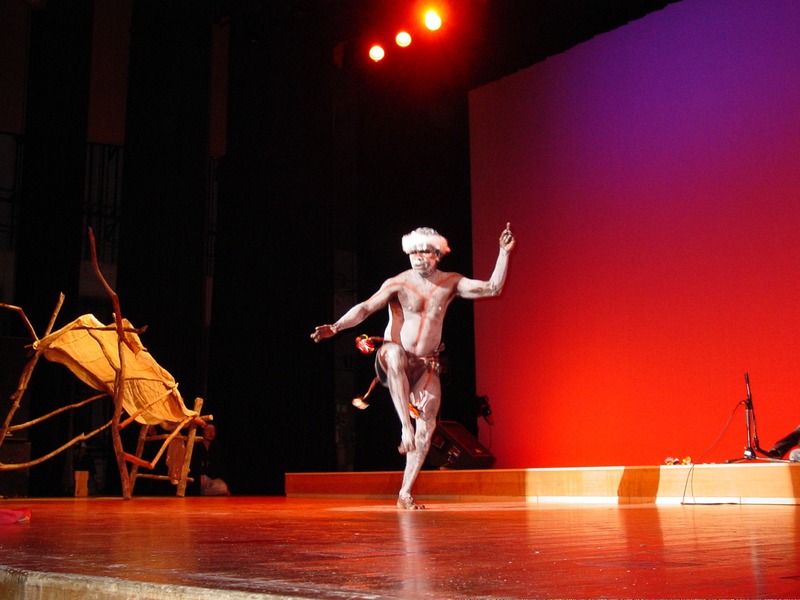 Yirryirrŋu Ganambarr (Daṯiwuy - Dhuwa) dances onstage in Japan for his Wangurri (Yirritja) mother's clan. You may know of the rock band Yothu Yindi, which over the years has included many Yolŋu from the Miwatj in its membership. 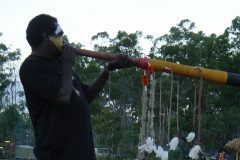 Some non-Aboriginal didjeridu players began to play the instrument thanks to Yothu Yindi’s influence. If you have wondered about the name of the group, it was chosen as, in addition to promoting an important concept of Yolŋu life, it reflected the relationships of the original Yolŋu members of the band. The mother of the original yidaki player, Milkayŋu Munuŋgurr, is an award winning artist from the Gumatj clan named Gulumbu Yunupiŋu. Her brother is Mandawuy Yunupiŋu, the lead singer of the band. 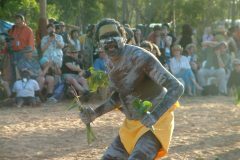 Therefore, Mandawuy is Milkayŋu’s uncle and a member of his mother clan, and there is a Yothu-Yindi pairing in the band. Backing singer and dancer Witiyana Marika, himself from the Rirratjiŋu clan, is the son of another of Mandawuy’s sisters, so the same applies to him. Yothu-Yindi is everywhere. Yolŋu kinship goes much deeper than that. There are further important relationships, including that of Märi-Gutharra, pertaining to a person’s mother’s mother’s clan (same moiety), but that is beyond the scope of this website, and something for you to read up on later!